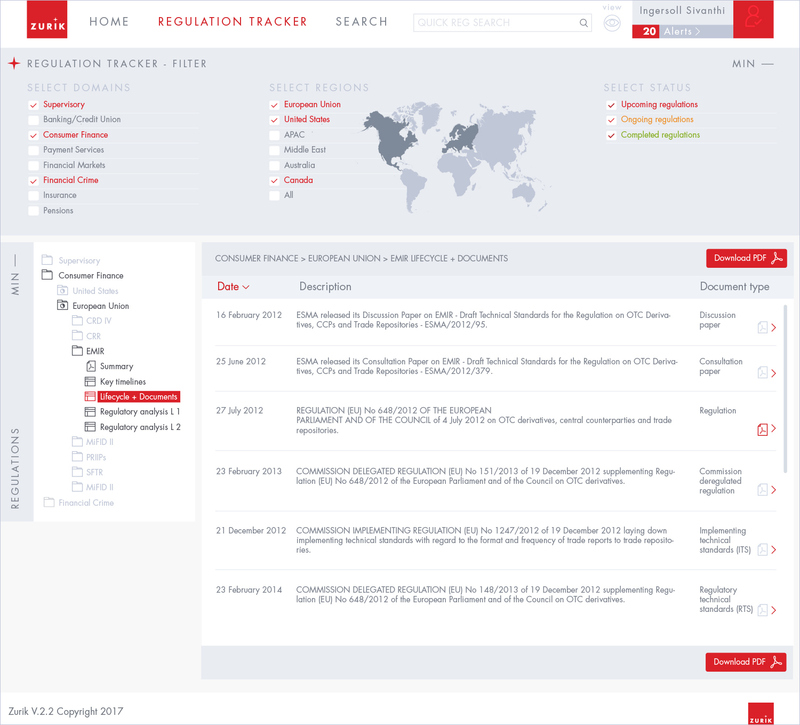 We designed the user interface for new financial regulation tracking service - Zurik. 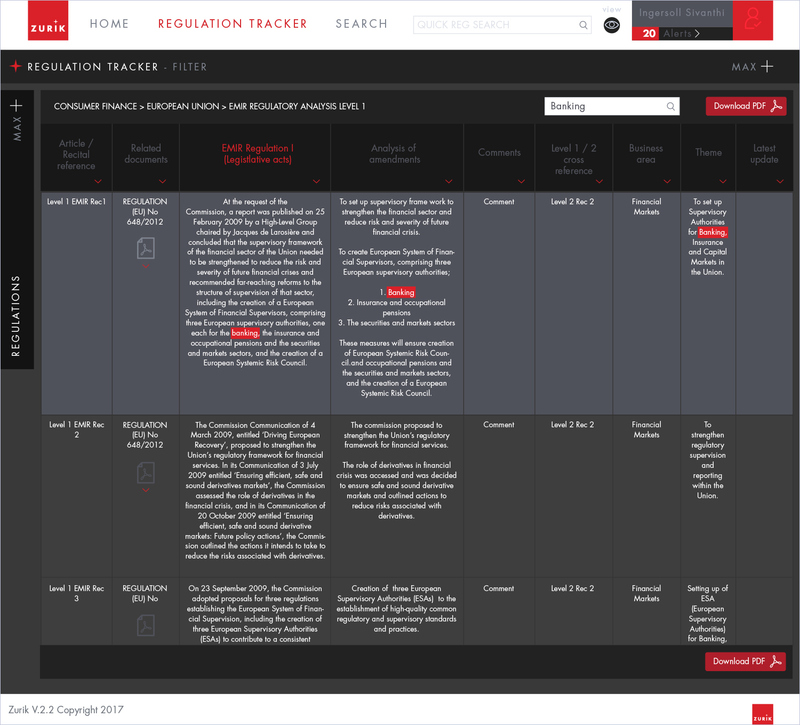 We worked closely with the data experts at Zurik to create a simple and easy way for users to view regulations, based on time and location. 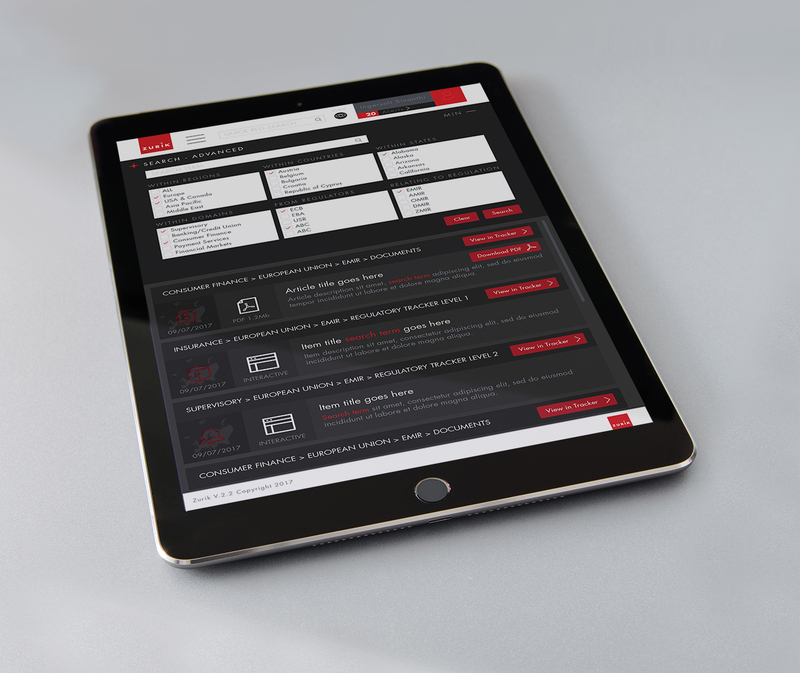 The web-based UI is responsive to tablet size and features a switchable colour scheme that allows the user to easily change from light to dark depending on their preference or ambient lighting.